Adobe has over a dozen major offers in multiple countries covering popular products – including saving 15% on the full version of Lightroom 4, 33% on new Photoshop & Premiere Elements 11, 40% off some Creative Cloud memberships, free shipping or instant download, and more. Some of these specials are actually already live and available now, and the rest kick off on Sunday, December 16th, with most running through Sunday, January 6th, 2013 in North America and UK/Europe. Note that you do need to use individual coupon codes (linked below) for most of them. All Elements 11 orders in the USA and Canada will also automatically receive a free $20 gift card from Shutterfly. A recent survey indicated that half of Americans are headed online for their holiday shopping this year. This makes plenty of sense given the efficiency and conven­ience of buying online – you can still get the best prices while saving on costly gas and avoiding the crowds. With these coupon codes you can shop in peace (and your pajamas if you want to), and not miss a good deal on software. For great prices on everything else, there’s always Amazon’s Top Holiday Deals…! Last chance for lower upgrade pricing to CS6! Discounts from CS3 and CS4 will end soon. 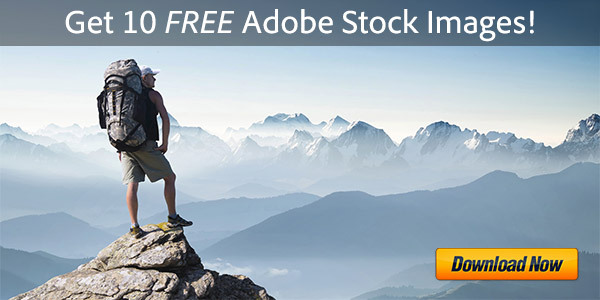 Save $50 on the full version of Lightroom 4 when purchased together with Photoshop CS6. Existing CS customers get Creative Cloud for $29.99/month – or 40% off your first year. Save $20/month on new Creative Cloud for Teams for current CS licensing customers. Get $20 off the full version of Lightroom 4 + Free Shipping. Only $129 with coupon code! Save 20% on the full version of new Photoshop Elements 11: $79 + Free Shipping! Get 20% off the full version of new Premiere Elements 11: $79 + Free Shipping! Save 33% off the new Photoshop & Premiere Elements 11 Bundle: $99 + Free Shipping! Save 30% on the full version of Lightroom 4 when purchased together with Photoshop CS6. CS customers get Creative Cloud for £27,34 or €36,89 per month – or 42% off first year. Save £15/month on new Creative Cloud for Teams for current CS licensing customers. Receive free shipping on all orders over £350 and €500 (ex VAT). Save 15% on the full version of Lightroom 4 Student & Teacher Edition. Save 20% on the full version of new Photoshop Elements 11. Ends Jan. 6th. Get 20% off the full version of new Premiere Elements 11 for editing your video. Save 33% off the Photoshop & Premiere Elements 11 Bundle or Student & Teacher Edition. Existing CS customers get Creative Cloud for A$37.99/month – or 40% off your first year. Save A$24/month on new Creative Cloud for Teams for current CS licensing customers. What’s new in Acrobat XI Pro and Standard? This is great, I have been looking for these codes – thank you! I’m interested in Lightroom classic cc, do you have any Special 2018 Christmas offers? There would typically be no further price discounts until around the same time next year – sorry!